I think this interview has been a long time in the making, and I’m glad it’s finally happened. 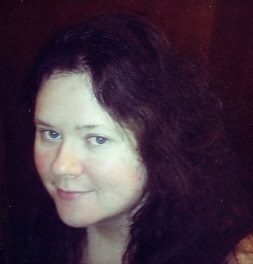 Today’s author is a woman who you might have seen commenting a lot on this blog. She’s an author of several vampire novels, as well as a contributor to Self-Published Authors Helping Other Authors, and a contributor/editor/compiler/whatever to the Ink Slingers’ anthologies, including Strange Portals and the recently published When the Lights Go Out. It’s Joleene Naylor, and I’m looking forward to hearing what she has to say! Welcome to the blog, Joleene. So tell us, what are your short stories about and what inspired them? Unforgotten is about a pair of old school chums in the UK who go on an annual trip every year on the same date. This years’ trip is complicated by Gordon’s missing wife and the ghost of a little girl who wants to be found. It’s actually based on a dream I had. It started out the same: in a car discussing having been interrogated by the police. Only there was no ghost girl. In Beldren, a group of former indentured servants decide to take what they feel they are owed from an easy mark; a household of women. Their plan is perfect except for one thing: the women are vampires. This one was inspired one night when a pickup kept going around and around past our house and my brother got nervous they were “up to something” and I thought, “I wonder what would happen if robbers broke in and found out the people of the house were serial killers? Or vampires? Hmmmm… That could be an interesting story…” Hopefully it is. I read the first one and liked it, so I have high hopes for the second one. Now what else have you written? 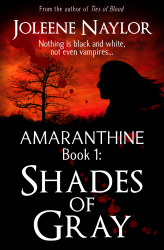 The Amaranthine vampire series. Shades of Gray is the first, and the newest is book seven, Clash of Legends. I’ve tried to make the story creepy and disturbing, and at times bloody and horrific, instead of just the usual romantic sop that a certain YA book has turned the vampire genre into. There’s no sparkling and no high school, just blood, fighting, and vampires who feed on humans and burn in the sun. Are you a traditionally or self-published writer? Self published because I want to own the rights to my own work. What is it about scary stories that you think draw people in? People enjoy being scared – safely. We like that little “Oh!”, the tiny burst of adrenaline and that aftermath giggle, but we like when we know we’re not *really* in danger, and a scary story can give us that. Are you working on anything these days? I’ve reworked Patrick: A Prequel, but I need to edit it. 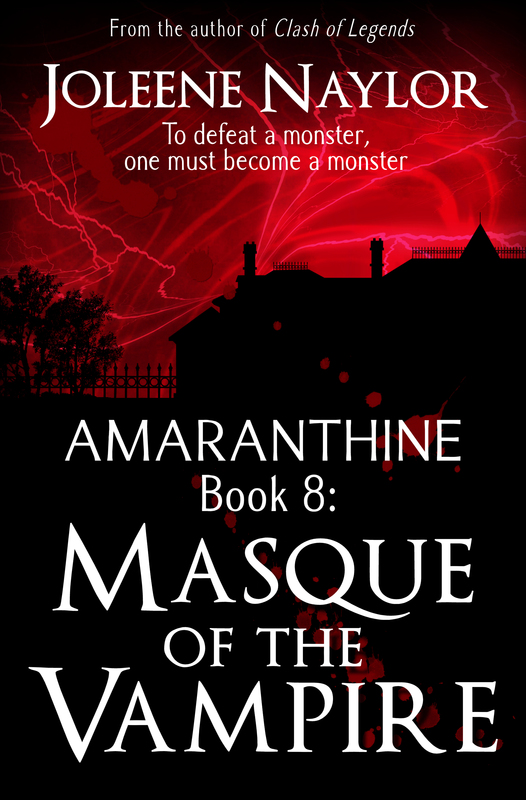 I am also working on Masque of the Vampire, the eighth book in the series, and the Tales of the Executioners short story collection. There are four of those, three are available for free through most retailors (except Amazon) and the fourth, Beldren, is included in the When the Lights Go Out anthology. What is some advice you would give to other writers, regardless of their level of experience or background? Write what you want to read because if you want to read it, then edit the heck out of it. Change words, shorten scenes, add scenes, delete scenes. The original version may seem like a masterpiece to you, but it isn’t – it’s a rough stone that needs cut down and polished in order to shine. That may be hard to admit sometimes, or to acknowledge, but it’s the truth for everyone. If you were stuck on a desert island and could only take three books with you, what would you take? I think short story collections give you more bang for your buck when it comes to being stranded for a long time, so: The Complete Tales of Edgar Allan Poe, The Faun and the Woodcutter’s Daughter by B. L. Picard, and right now I really, really, really want to read A Candle in Her Room by Ruth M Arthur, only I can’t find a copy priced at anything I can afford, so in fantasy land I would have it. Alternately, if it has to be a book I owned, I’d swap it out for My Sweet Audrina by VC Andrews. Well, thank you Joleene for joining us today. Really enjoyed picking your brain. And readers, if you want to check out more of Joleene, you can find her on her website, her blog, her Facebook page, on Twitter, and on Goodreads. Also check out the Interviews page for my talks with other authors and even some characters. And make sure to check out When the Lights Go Out, available from Amazon, Smashwords, Barnes & Noble, Kobo, and iTunes. It’s the perfect way to start the Halloween season. Today I am interviewed by the horror writer Rami Ungar (with an A if I can drill that into my head!). You can read his work in both of the Ink Slinger anthologies, or check out his other published works. I guarantee its worth your time! And run, don’t walk, to download the Ink Slinger’s Anthology. She has a pretty good one, doesn’t she? By the way Ruth, you should check out the post before this one. I think you’d rather enjoy reading it. Like her, I’m not a huge fan of sparkly vampires. I like them more creepy and scary…knowing full well they’re fiction, of course. 😉 I did read through it. I thought you were spot on. Thanks! I do try to be. Joleene is my most favorite writer. I read everything she writes at least 4 or 5 times. Sounds like something I would like to do someday. Your books sound interesting. Normally, I am not a horror fan, I have a very low fear threshold. I love the fact that your vampires don’t sparkle. Sparkling takes all the fun out of watching them burst into flames when they get into sunlight! Rami Ungar interviews Joleene Naylor! Joleene is one of my favorite authors. I love reading her works.